It’s a well-known fact that happy employees are vital to the success of any business or organization. With satisfied employees, your company is like a well-oiled machine with its motor running smoothly and efficiently. Employee satisfaction is more than just about free pizza or a game day Friday. According to Gallup, the number one reason that employees leave their jobs in the US is that they don’t feel appreciated. 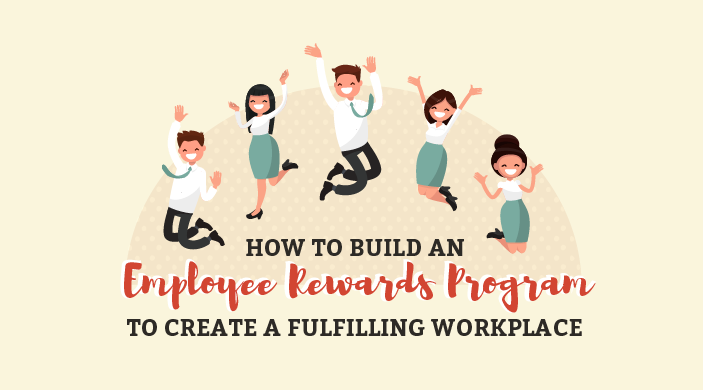 An employee rewards program that would recognize your employees’ daily efforts and achievements can definitely uplift low morale and create a fulfilling workplace. We’ve outlined everything you need to know about creating an employee rewards and incentive program to help you ensure employee satisfaction. Analyze your objectives, and make sure that it’s aligned to your company’s mission-vision. It all boils down to whether your objectives tie in to the results that you want. A rewards program will not work if employees are not excited about the prizes and incentives that they will receive. Ask your employees about the specific rewards and incentives that they will work for. Ask your finance department for a budget to fund your incentive program. Look at it as an investment. Studies have shown that for an incentives program to work, the reward value has to be at least 10% of an employee’s salary. Otherwise, employees can regard the incentive as too little to make them work harder. Teamwork and team spirit are among the advantages of a rewards program. Make sure everyone agrees with the plan to design an incentives program. Otherwise, it will totally defeat your purpose of boosting your organization’s morale. Regardless of your company size, it would be best to form a small group of people to design your rewards program. It is recommended that there will be representatives from every department for your incentives program to have a wider reach. Avoid giving incentives to just the top performers. Instead, device a plan where everybody in the company can benefit from the incentives. Look at the different metrics that measure employee performance, and create a set of criteria that can quantify performance across all departments. For example, how you measure the performance of web developers may be different from how you determine your writer’s performance. Find a common ground or an objective set of criteria to judge performance between the two. Create a mini event in your organization to announce the new program. Get people excited through a kick-off meeting. Use posters, email campaigns, or newsletters to spread the word around. Increase employee engagement by keeping them excited about it. Let them know the awesome rewards and prizes that await them when they work hard. Motivate people with posters and updates in your company newsletter. Celebrate the success of your rewards program. Hold a celebratory lunch in your office. Include all employees in your celebration to encourage them to keep working hard for the rewards and incentives that await them. Also, make sure to let everyone know how and why the winners were picked. Don’t be cocky and ask your employees for their opinions about the program you created. Keep improving your incentives program to ensure its effectiveness and help you discover the incentives structure that works best. A solid rewards and incentives program can certainly build a high morale and keep your employees excited about going to work every day. Employees are the building blocks of your organization. Invest in them with incentive programs that will keep them satisfied and engaged with your company.